When it comes to social media, Facebook is the mainstay who just keeps reinventing itself. With the launch and expanded popularity of their Facebook Live video platform, the company is positioned to offer up an alternative to Twitter, Instagram, and even YouTube when it comes to broadcasting abilities. Brands and businesses can use the feature in a number of ways. From updating customers on the status of a project to launching products – companies aren’t limited to relying on outside sources for coverage these days, they can create their own buzz and share it with their followers in real time. We’ve even seen a fugitive take to Live to broadcast while he was on the run from police. Facebook has entered into contracts with several notable news outlets and celebrities to create content that will reach out to viewers. In addition to allowing them to work out the complexities of Live, it also puts more videos in front of viewers and gets them interested in seeing more broadcasts and creating their own. Facebook Live is yet another way that companies can interact closely with customers and engage them like never before. Tailoring Experiences or Exploitative Tracking? A recent announcement from Snapchat explained that company will now use location data from Foursquare to better target their geofilters. Foursquare boasts that they have mapped over 90 million locations: stores, restaurants, theaters, and more. Additionally, they track customer phones as they move through these locations. For companies and brands using geofilters, that means they can target specific stores instead of an entire mall or a portion of an arena instead of the whole venue. To a marketer this sounds great. More data points, specific information about where customers shop, and the ability to better target the customers you want to reach. But to customers, this sounds terrible; yet another example of being tracked to the point that an analyst will know what stores you visit most and even what aisles you spend the most time in. So, what are customers to do? Give up and let it happen, push back and attempt to live a life devoid of trackable technology, some combination of the two? In reality, the onus of handling personal data responsibly should be taken more seriously by businesses. The more personal data that is tracked and used in selling practices, the more it will become clearer how companies are using the information they collect. Customers will then have to decide if they want to continue doing business with those companies or find some other way to illustrate their dissatisfaction with the use of their personal information. Snapchat Discover Channels have been expanding to include more companies, magazines, and news outlets to the mobile application. Let’s take a look at the Discover page for Food Network. Since 2011 the Food Network has seen a declining number of cable TV viewers tuning in. In efforts to expand the audiences they reach, FN is trying out Snapchat. 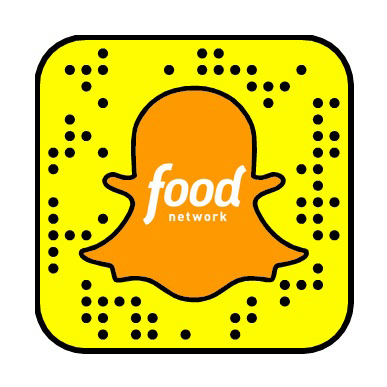 In addition to showing clips of current Food Network shows, they also have unique, new content and videos with social media stars to draw new viewers. FN has also partnered with Spoon University – which bills itself as “the everyday food resource for our generation” – to further their influence with the millennial bloc. The SpoonU takeover features recipes, dining trends, and cooking hacks all tailored for younger foodies. They employ a team of ten just to focus on Snapchat and admit that they’re still not sure the venture will pay off. What do you think – is Snapchat the right place for all business looking to grow their audiences? How did customers find out more about companies and the products they offered in the past? By calling a toll-free number, requesting a catalog, visiting a store? While most of those are still options available today, most businesses drive people to their online presence to get information and browse and purchase products. Today, even the way customers visit websites is changing. Websites with responsive designs are becoming the new gold standard for businesses and marketers. 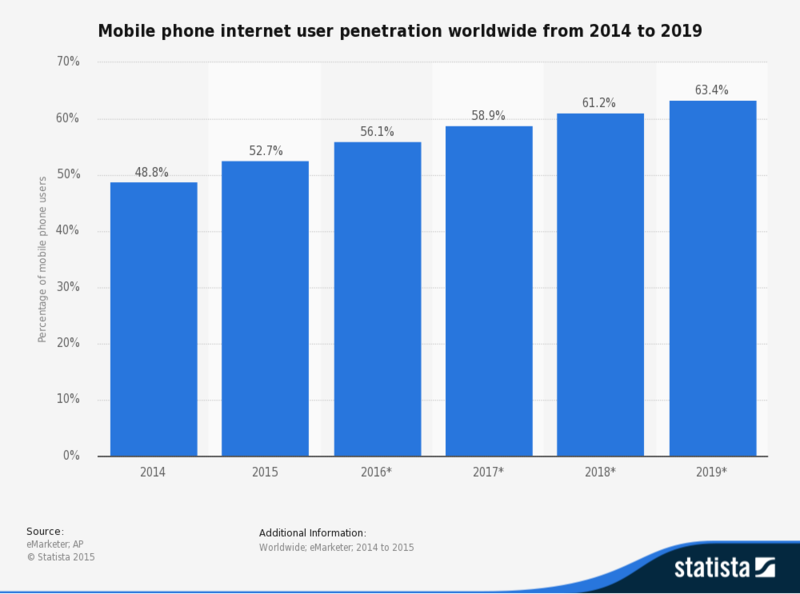 The number of mobile internet users is only projected to increase into the coming years. So whether a customer is shopping, researching, sharing, or sending – they’re becoming more and more apt to do it from their phones. The main goal behind a responsive page design is to ensure that visitors have the same experience whether they’re on the go and reading from their phone, relaxing at home and browsing from a tablet, or using a desktop PC to visit your page. Adapting to how customers want to view your information is certainly a smart marketing move. Emerging media is important now and will continue to be into the future. Look at how platforms like Twitter, Vine, and Snapchat have changed the way we share, converse, and react in just the short amount of time they’ve been around. Moreover, look at the various ways these examples provide interaction: videos, photo sharing, links, comments, networks of friends, and more. Today’s customers are interacting with these formats in various ways every day. How many of us are within eyeshot of our phone right now? Is there a Fitbit on your wrist? A tablet on the bedside table? We are surrounded by tech that has the capability to bring information right to our hands. These types of emerging media influence us to make certain decisions and allows us to help others with their decision-making process. Possibly one of their most important innovations is the ability it gives marketers to drive a more personalized experience for customers. The only trouble is, new platforms and trends are forming every day. How is a modern marketer to keep up?